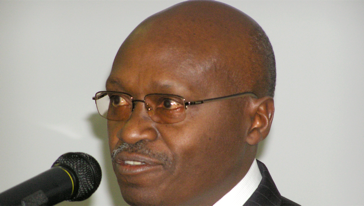 Gasana Ndoba was the first president of the National Human Rights Commission of Rwanda, a public institution in charge of promotion, protection and monitoring of human rights nationwide (1999-2003). He is an international consultant on human rights and a visiting lecturer at the National University of Rwanda. Ndoba has played an active part in the promotion of human rights in Rwanda before and after the 1994 Genocide perpetrated against Tutsi, and in the establishment of mechanisms to commemorate the victims and to advocate for the prevention of the repetition of such cataclysms worldwide. In 2000, he was nominated to the Nobel Peace Prize, by the Gouvernement de la Communauté Française de Belgique as “a key actor for peace and reconciliation”.